Specific speeds are configurable on top of the free climbing configuration with Smart Mode-inspired default values. This mod allows to configure the standard sneaking via the configuration file. The sneaking speed can set and sneaking can be disabled at all. It completely replaces standard flying and allows you to fly up and down via looking. The standard flying jump to raise, sneak to fall behaviour has been reimplemented and works similar to its standard flying counterpart. To jump left double click the left button, to jump right double click the right button and to jump back double click the back button. To jump back stop climbing by releasing the forward button press the sneak button to hold the height release the grab button and click the jump button. Additionally you can start sliding from forward jumping or flying. Just hit the ground while pressing the sneak and the grab button. You will slide as long as the initial horizontal ground hitting speed and the ground spipperiness supports it. If the sneak button is still pressed when the sliding stops you start crawling instead. Crawling can be made togglable via the configuration file. When toggled on it can be toggled off by pressing the sneak button again to enter sneaking of by pressing the jump button to stand up immediately. Installation varies depending on your minecraft installation. So choose your package and install it – do NOT install more than one package. In any case, NEVER forget: ALWAYS back up your stuff! Your minecraft installation does not use any mod management system. 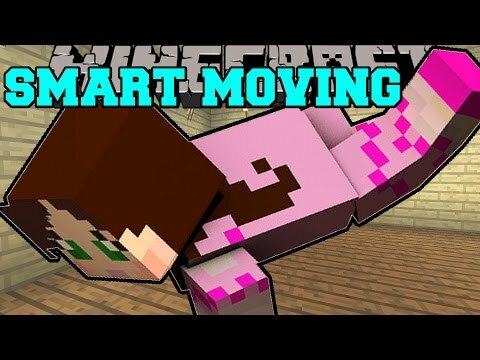 You don’t care about other mods, you just want to smart move while playing Minecraft. Copy all files inside one of the included “Standalone” zip packages to their corresponding locations in your “Minecraft.jar” in your “/.minecraft/bin/”. Do not forget to delete the “META-INF” directory while you are at it. Choosing the package depends on the other mods you want to be installed in your “Minecraft.jar”. The client standalone package “Smart Moving Client Standalone Minecraft-asv-atc-gu-gz.zip” overwrites the files “net/minecraft/client/Minecraft.class”, “asv”, “atc.class” “gu”.class and gz.class. The client standalone package “Smart Moving Client Standalone anz-asv-auq-gu-gz.zip” overwrites the files “anz.class”, “asv”, “auq.class”, gu.class and gz.class. Each package should not be combined with other mods that overwrite any of its corresponding files. 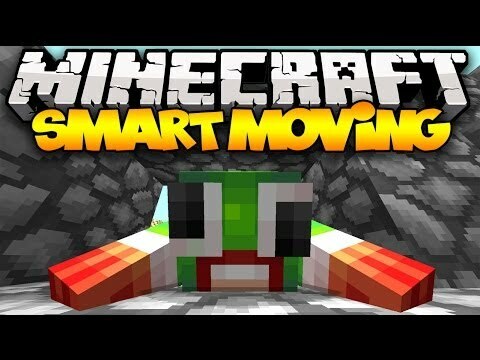 Minecraft mod showcase : smart moving! 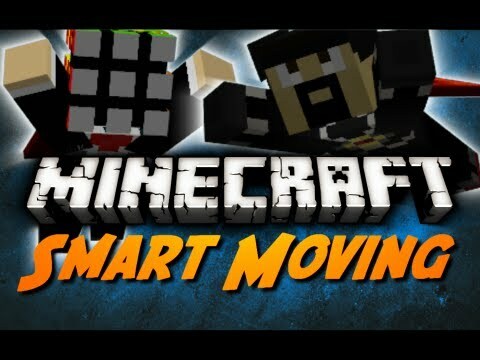 Minecraft: smart moving (crawling, climbing, & gliding!).. Minecraft | extreme parkour mod! 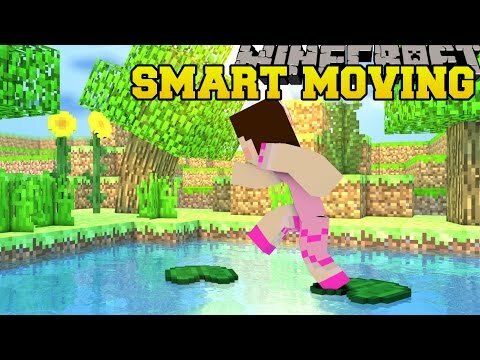 (smart moving parkour film!) 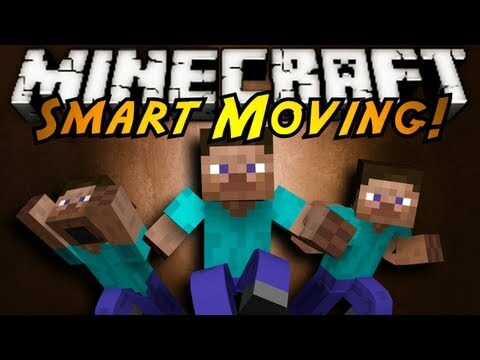 |..
Minecraft: smart moving! 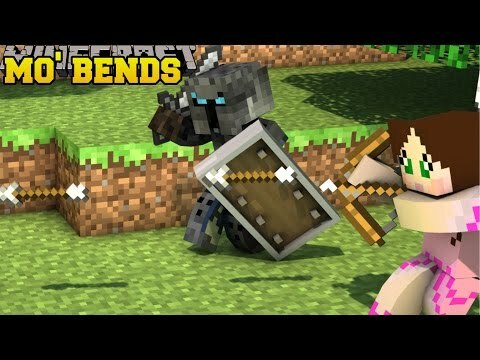 (crawling, diving, climbing, &..
Minecraft: mo' bends (epic player animations & mobs!).. 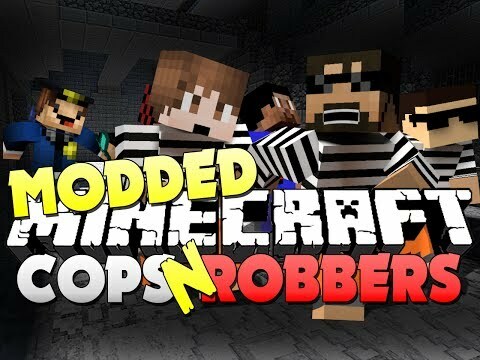 Minecraft modded cops and robbers 1 - smart moving mod (bodil40,..
Minecraft: smartest moving!! (sliding, climbing, leaping, &..